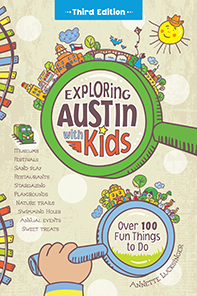 Exploring Austin with Kids News - Mark your calendars for the last week of Twelfth Night! Don’t leave yourself mourning, “O had I but follow’d the arts!” Go see Shakespeare’s Twelfth Night on the roof of the downtown Whole Foods Market! It’s glorious and devilishly funny. The fairly simple plot and brief, comical “Introduction to Shakespearean language” at the beginning of the play make it more accessible than most for older children - and the physical comedy, interactive performance and live music (featuring bluegrass standards plus the ukulele and kazoo) engage young ones. I sat on a blanket in the grass next to a family with coloring books and in front of kids reading or practicing gymnastics during the monologues and character bantering. But the clowns’ boisterous, silly antics (and impressive dance moves) and interactive performances attracted the attention of all. Sitting in the open air, watching outdoor theater as the night fell was a great way to spend the evening. Pack a blanket or chairs and grab snacks or dinner from Whole Foods below. Seating at 6:30 p.m. Shows starts at 7:00 p.m. with a 15-minute intermission and ends about 10:00 p.m. The play runs Friday, Saturday, and Sunday nights through October 2nd. Thanks to the mission of the Present Company, the play is absolutely free, although RSVPs are recommended and donations gladly accepted.